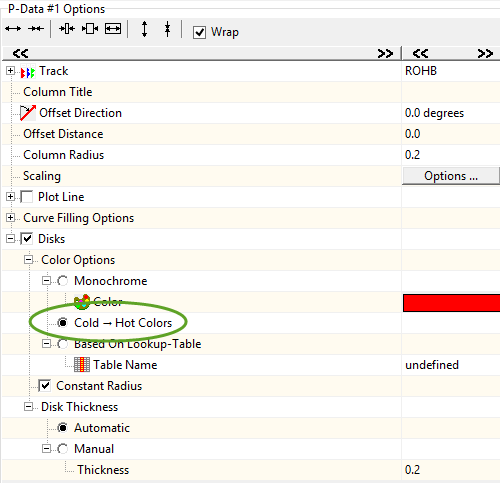 what is the fastest way to add a proper color legend when plotting P-data with disks and option 'Cold--> Hot colors' (see image) in 3D? I assume the value range I have to get from min/max of the P-data values. but which color scheme is used for visualization, 2-colors or 3-colors? what are the starting/ending colors? The Cold->Hot color scheme is a two-color scheme starting with magenta and ending with red. Get the min max from your P-Data values and enter those values manually.